Reports about the Auditor-General Daniel Yaw Domelevo running a one-man-show at the Audit Service are gaining ground, as it has emerged that he has ignored a directive from President Akufo-Addo to audit the liabilities of the Metropolitan, Municipal and District Assemblies (MMDAs) to contractors as of December 31, 2016, for them to be paid. The Auditor-General, who has received money he requested to carry out the audit from the exchequer, says that nobody can force him to do his job. DAILY GUIDE gathered that in August 2017, Cabinet requested an audit of the liabilities of MMDAs as of 31 December, 2016, prior to the payment of contractors, who executed projects at the assemblies at the cost of over GH¢640 million. The Ministry of Local Government drew the attention of the President to the huge indebtedness of the assemblies to the contractors who agitated for their monies. The Auditor-General was said to have asked for budget to carry out the exercise and duly submitted GH¢1,346,856 which was released by the Finance Ministry as far back as February, 2018. Seven months after the release of the money, no audit has been conducted, but the Auditor-General indicated to the President that the money should be returned to the Consolidate Funds. A reminder from the Audit Service Board and the Senior Minister for Mr Domelevo to do the needful was ignored. 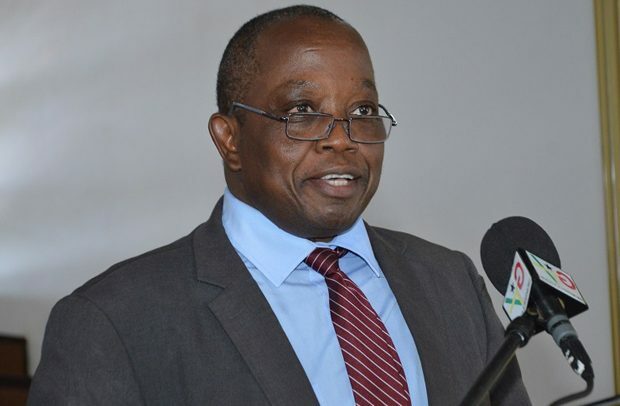 There are allegations that the Auditor-General has decided not to take the inputs of the Audit Service Board since he considers that as interference or being subjected to the direction and control of another person or authority. He has since failed to heed the advice of the board to audit the liabilities of some 213 MMDAs for government to pay GH¢640,147,537.95 to the contractors. DAILY GUIDE has gathered that the Auditor-General claims to be waiting for a letter from the President to conduct the audit. The contractors have over the past months expressed their anger over the unpaid monies which they say is negatively affecting them, as the banks and other creditors are breathing down their necks for their monies. Mr. Domelevo’s refusal to carry out the task stems from the fact that he sees the decision of the Audit Board to remind him as taking instructions from others contrary to Article 187(7) (a) of the 1992 Constitution. Information revealed that the office of the Senior Minister was to coordinate the auditing of the 213 MMDAs. On August 18, 2017, there was a meeting between the Audit Service, Economic and Organised Crime Office (EOCO) and Financial Forensic Unit of the Criminal Investigations Department (FFU/CID) of the Ghana Police Service over the matter. According to sources, officials at the meeting concluded that the Audit Service has the capacity to conduct the audit and subsequently asked the Auditor-General to submit a budget for the exercise. On August 22, 2017, the Auditor-General submitted a budget to the Ministry of Finance through the office of the Senior Minister. On 9th February, 2018, the Ministry of Finance authorised the Controller and Accountant-General to release an amount of GH¢1,346,856.00 to the Audit Service per the budget presented by the Auditor-General. The paper is reliably informed that when the Board approached Mr Domelevo over the matter, he retorted that he would not audit the liabilities under the control of any person or authority. He, therefore, asked the Board to inform the Office of the President to return the money to the Consolidated Fund. DAILY GUIDE has learnt that Mr. Domelevo claims the President should write directly to him and not through the Cabinet or Senior Minister. The paper gathered that the development has not gone down well with the Audit Service Board since Mr Domelevo has conducted similar audits without any letter from the President.